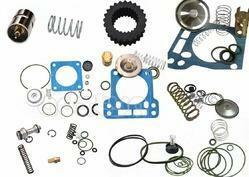 With the assistance of our professionals, we offer a large range of Screw Compressor Service Kit. 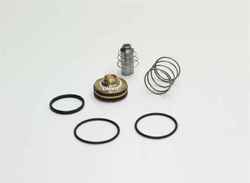 Our products are available in various sizes and used in various places. 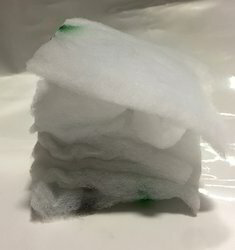 This kits are designed at our ultra-modern manufacturing unit using the best quality material and progressive technology in conformance with distinct quality standards. Being a quality-oriented organization, we assure our clients that this kits are excellent on counts of durability and quality. We at ADITYA ENTERPRISE provide all type of replacement Imported kits for Atlas copco, Kaeser, Ingersoll Rand, Elgi, CP, Sullair, GD etc make Screw compressors with excellent and oem quality with very much competitive price. Replacement kits like unloader valve kit, oil stop valve kit, check valve kit, intake valve kit, thermostat valve, pressure transducer etc for atlas copco make rotary screw compressor. 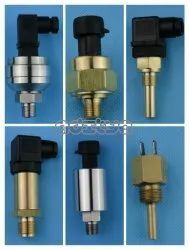 We supply 100% replacement and compatible valve kits, service kits, mpv kits, osv kits, bdv kits, cavv kits, vent valve kits, control line kits, solenoid valves, thermostats etc for kaeser make rotary screw compressors with very much competitive price and oem quality. Please find the attached PDF FILE for more details. 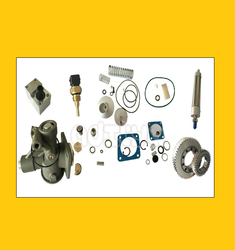 We are pioneer in Replacement kits like Unloader valve kit , BDV KIT, OSV KIT, ACTUATOR KIT, MPV KIT etc of ELGI SCREW COMPRESSOR with OEM Quality and very much resonable price. 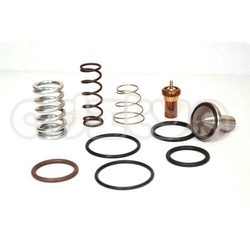 Replacement kits like unloader valve kit, oil stop valve kit, check valve kit, intake valve kit, thermostat valve, pressure transducer etc for CHICAGO PNEUMATIC make Rotary screw compressor. 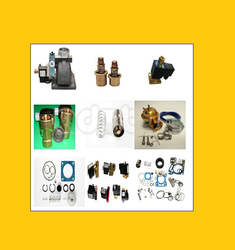 Replacement kits like unloader valve kit, oil stop valve kit, check valve kit, intake valve kit, thermostat valve, pressure transducer etc for Ingersoll Rand make rotary screw compressor with OEM Quality and very much competitive price. 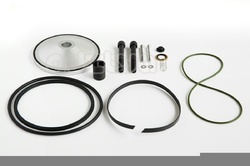 While climbing on the success ladder, it has become increasingly important for us to deliver precisely tested and high grade assortment of Air Oil Filter Kit. We Provide tested on various stringent parameters to ensure their durability and quality. Our competency lies in offering our clients an excellent quality range of Screw Compressor Overhalu Kit at the most cost effective prices. 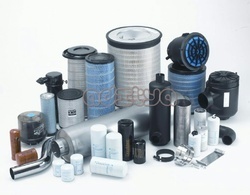 We provide the replacement spare like : Air filters, Oil filters, Oil separators, Vavle Kits, shaft seals, gears, lubricants, couplings , coolers etc with OEM Quality, Life and Performance warrantee with very much competitive price. 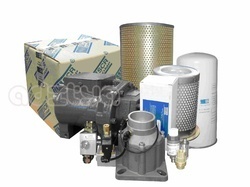 We supply 100% replacement and compatible maintenance kits for all leading screw compressor manufactures like atlas copco, kaeser, elgi, ingersoll rand, chicago pneumatic etc with very much competitive price. We Provide tested on various stringent parameters to ensure their durability and quality of replacement Air compressor service kits for Atlas copco, kaeser, Elgi, IR, CP etc make Screw compressors with OEM Quality and very much competitive price. 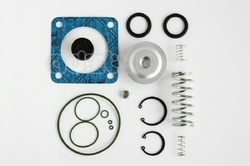 We proudly offer 100% Replacement / Compatible range of Valve Kits for all leading brand screw compressors such as Atlas copco, Kaeser, Elgi, Ingersoll Rand, CP, Sullair etc.. with OEM quality and competitive price. 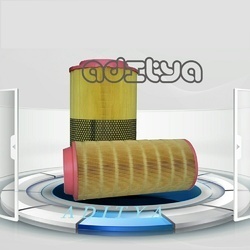 We are the leading brand in the market to provide our renowned clients the best range of Filter Mat. 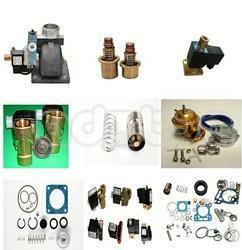 We supply 100% Compatible & Replacement for KAESER, ATLAS COPCO, CHICAGO PNEUMATIC etc Make Rotary Screw Compressors. We provides air end rebuild job is done for all major brand rotary screw compressors like Atlas copco, Kaeser, Ingersoll rand, Elgi, CP etc With 100% satisfactory result & competitive price. 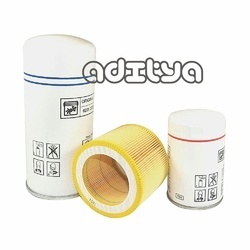 Aditya Enterprise offer 100% replacement Oil level gauge , Oil Level indicator, Oil sight glass for Ingersoll-rand , Atlas copco, Kaeser, Elgi, Chicagi pneumatic etc.. screw compressor with OEM Quality and very much competitive price. 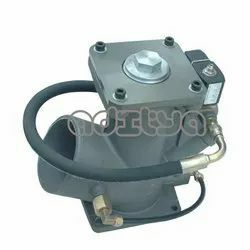 Aditya Enterprise offer 100% replacement and compatible Unloader valve assembly complete for all major brand Screw compressors such as Atlas copco, Kaeser, Elgi, IR, CP, Sullair etc with OEM Quality and competitive price.